The best sports and fitness activities combine competition, fun, and a healthy dose of exercise, whether you're a participant or watching from the sidelines. 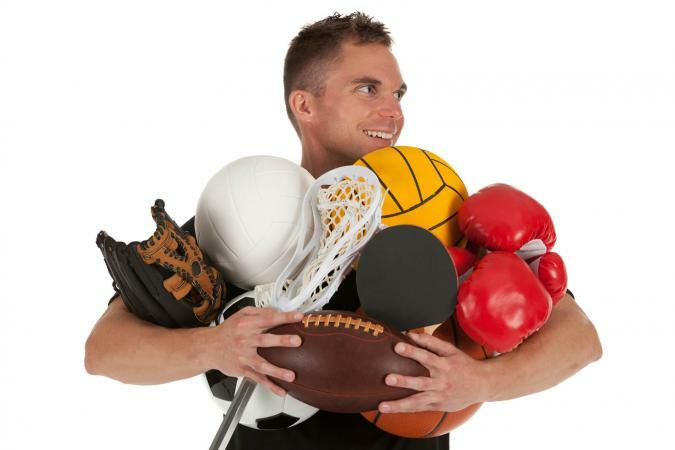 There are plenty of ways to incorporate sports into your life! There are few things able to unite a group of people like a sporting event. A memorable play will get people talking for hours, college rivalries stay with students long past graduation day, and international soccer stars have fans on nearly every continent. Football is a great example of this. Many people enjoy participating in good-natured ribbing over which college football team is best. Alumni and fans alike often find this to be entertaining. There are also rivalries among professional football teams, with fans forming allegiances to favorite teams and top NFL players. Football fans also love their trivia, keeping up with key plays like the best catches in football and other major accomplishments. Fans can even get in on the action by playing fantasy football and keeping up with the latest rumors and gossip surrounding the sport. Using top workout videos is a great way to incorporate exercise into your daily life in the comfort of your own home. If you'd rather get fit in the great outdoors, take to the links and get fit while playing on some of the best golf courses in the United States. If you're more of a fan of winter sports, consider taking to the slopes at one of the many popular ski resorts in North America. Looking to get toned? Consider good ab exercises. These are just a few ideas; you can find plenty more suggestions on the exercise channel. Whatever your preference, the most important thing is to stay active, and enjoy the best life can offer you. Whether you prefer watching sports, participating in fitness activities, or a combination of both, you can find what you're looking for when you visit the Sports and Fitness category. Check back regularly as the expert editorial team is hard at work adding new content provide you with the sports and fitness tips you need!